The spring fishing around Morehead City is starting to kick off. The inshore bite for red drum is starting to take off, sea mullets and grey trout are running around the bridges, and the inlets are loaded with bluefish. Pretty soon the flounder will be moving in, and start looking for cobia and spanish mackerel in May. 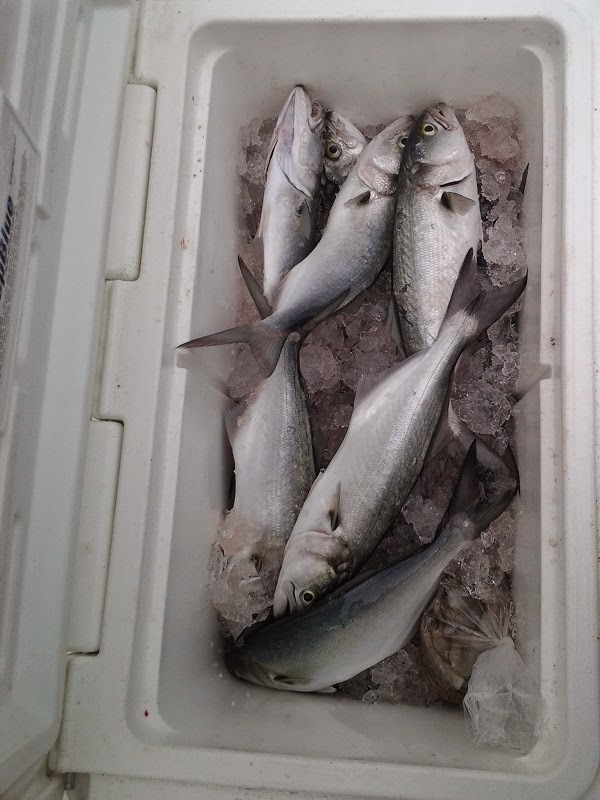 The nearshore bite on the reefs has been consisting of black sea bass, flounder, albacore, and a few bonitos. Start booking your trips because the May dates are starting to get filled.